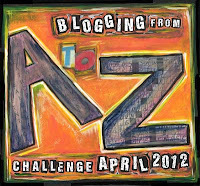 That is correct the challenge called ""A TO Z BLOGGER CHALLENGE" has now got a Facebook page and there is a "Video" contest going on as we speak. Not to mention there is the January 30th sign up coming, so much going on and it's only the beginning cause April is just around the corner. I have been a lacking member for a few days, but I have an excuse... some family issues have risen and it's out of my control. So I will keep my fingers crossed I don't get the boot, I am designing some new art/logos for the event so hopefully those will be complete for the big "sign up" on the 30th of this month. Here is another one of my silly little videos that was made in the lab, we will call it "Smokin" I hope you enjoy it as they will get better as I learn outside the basics. Many of you might not I helped do some clean art that is featured in one of the booklets to their music cd's... a long time ago. I didn't receive any credit because I really didn't do anything, but I know where it is and smile... cause who doesn't love the crue! So please start following the the "A to Z" Challenge, I believe it's going to shutdown the blogger for the month of April. 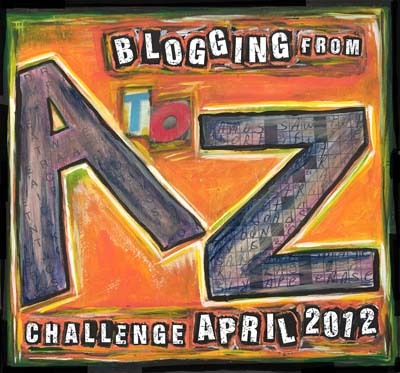 I'm looking forward to doing the a-z challenge again this year! It's so much fun. Good plug for the video challenge! Is the video supposed to have sound? I didn't hear anything. If you can do that then you can come up with an A to Z Video. How about showing more of what you can do? This was a great promo post. Looking forward to what new graphic things you come up with for the Challenge. thanks for the props on the video, i am not even sure if it is considered a video. i am working on making them with sound... trying to. i love the crue and still do... despite the direction they might be heading... wasn't vince neil on skating with the stars last year?